2018 interpretation board by Edith Cavell’s statue in Tombland by Norwich Cathedral. This interpretation board was ‘launched’ on Saturday October 13th, 100 years and a day after the statue was unveiled by Queen Alexandra on the third anniversary of the execution of Edith Cavell. See here for further background information. Their generous sponsorship of the expenditure on creating and installing this board is gratefully acknowledged. 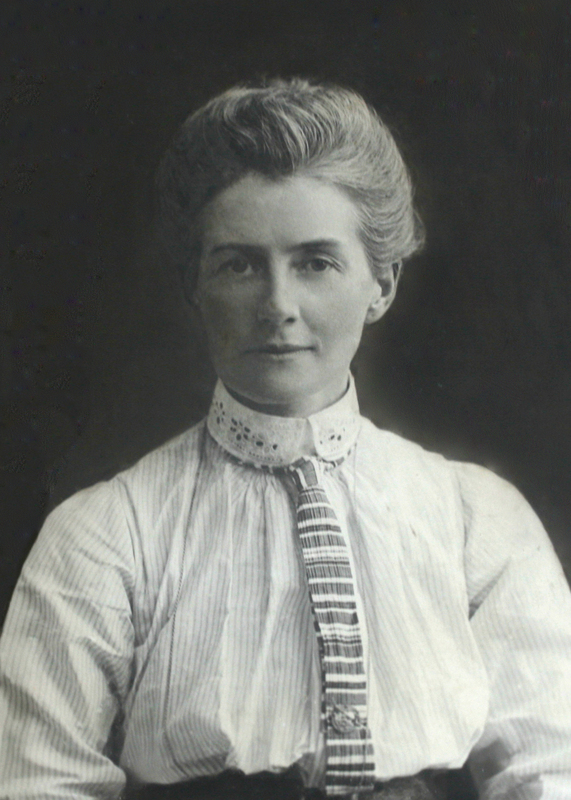 Edith Cavell was the first of four children of the vicar of Swardeston. She worked as a governess in the east of England and Brussels. Aged 30 she returned to care for her sick father and then enrolled as a trainee nurse, wanting to do ‘something useful for people’. After nursing for ten years in the poorest parts of London and Manchester, in 1907 she moved to Brussels to create the first Belgian professional nurse training school. In Norfolk in July 1914 on holiday with her widowed mother, she chose to return to Brussels to support her nurses as war was imminent. Under the German occupation she secretly hid British and French soldiers, often wounded, in her clinique and helped them to freedom in Holland. [Four are shown here: Sergeant Fred Meachin and Colonel Dudley Boger, Cheshire Regiment, Private Billy Mapes and Sergeant Jesse Tunmore, Royal Norfolk Regiment ]. She and all involved knew they risked being shot for this. In nine months Edith took in over 200 soldiers. Eventually she and her network were betrayed. Thirty five were arrested, interrogated and tried by a German military court. She and a colleague were shot at dawn on October 12 1915. This statue was created by Henry Pegram. Funded by public subscription, it was unveiled by Queen Alexandra on October 12 1918. The huge numbers who attended are visible in the photograph. Five Cavell Rest Homes for Nurses were opened from 1917 in her memory, all funded by public subscription, The sixth was opened in October 1918 in premises now occupied by the Maids Head Hotel across the street. ‘We shall always remember you as a heroine and as a martyr’. Edith Cavell replied: ‘Don’t think of me like that – think of me only as a nurse who tried to do her duty’. The board is also in memory of Sylvia (a brave nurse).